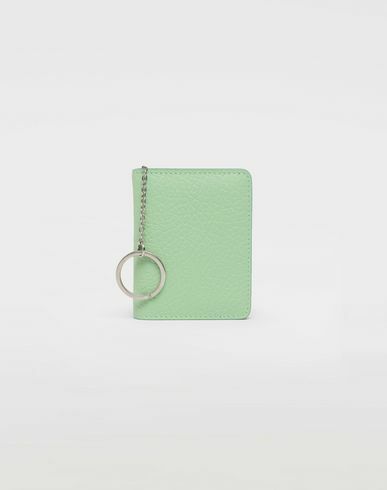 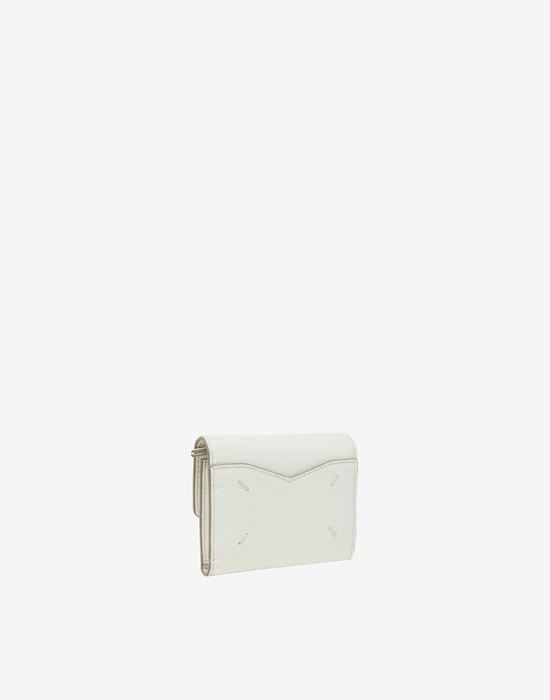 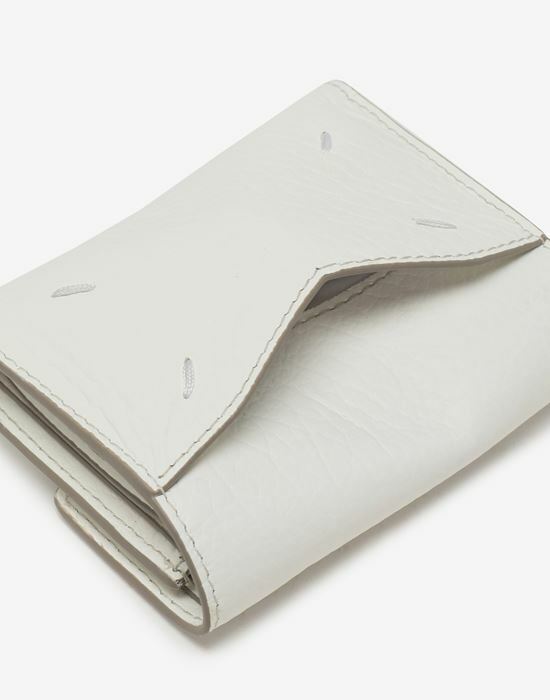 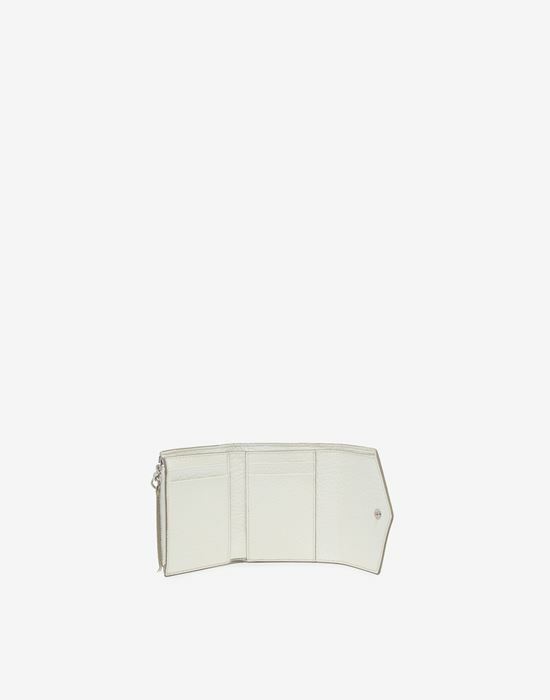 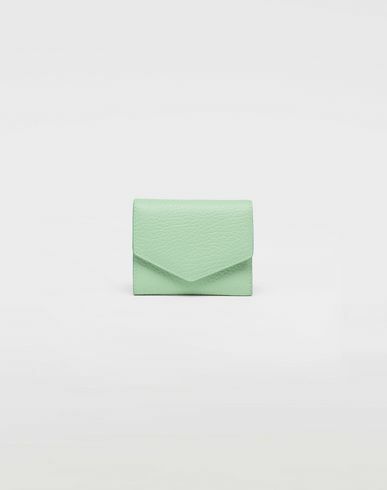 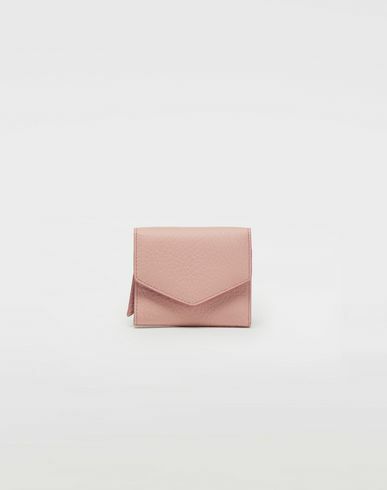 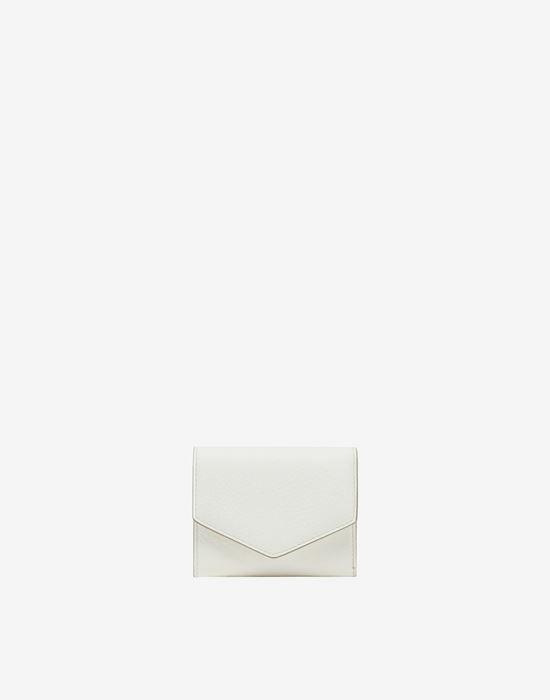 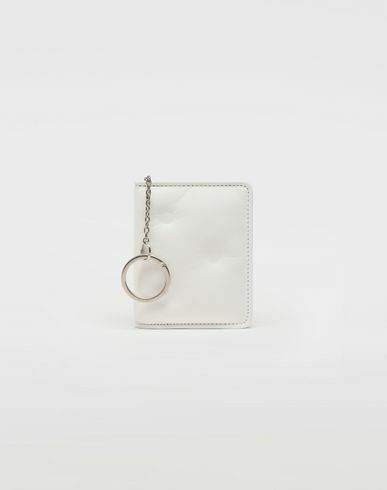 This envelope style wallet is crafted from grainy, embossed leather. 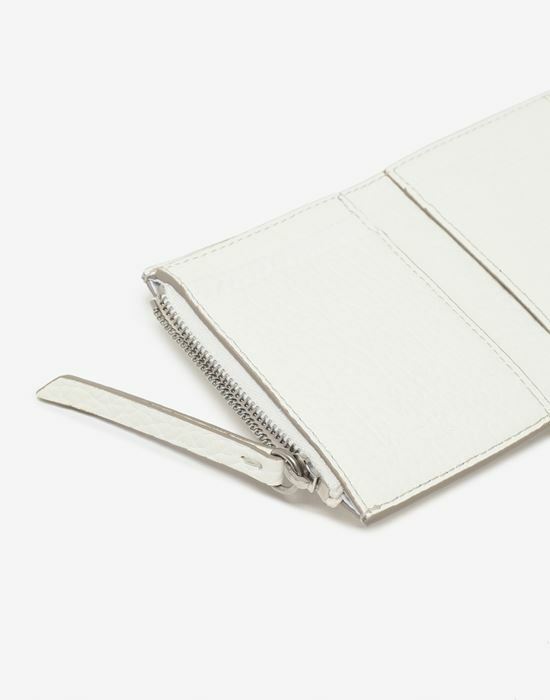 It opens to a sectioned interior and can be carried by the tab handle. 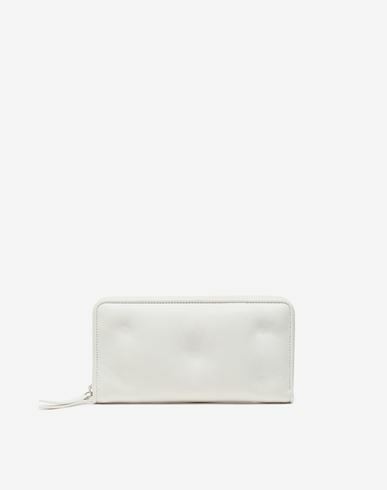 The Maison's iconic four white stitches are exposed on the back.